I have sent you a tweet so please reply with your contact details to "gardenteacakesandme@gmail.com" and I will make sure your lovely prize is posted straight away. Thank you to everyone who entered, sharing you favourite bakes or places to visit. 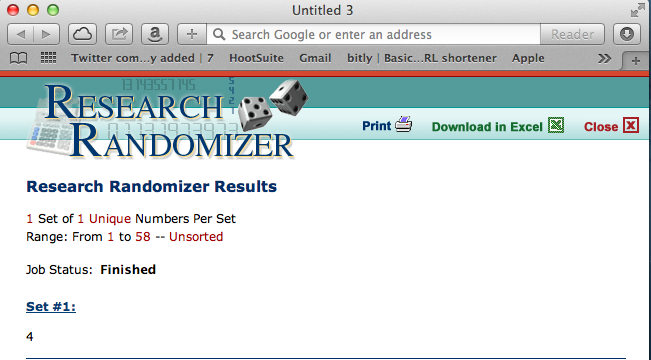 I used randomiser to select a winner which as you can see in the screen shot below was comment no. 4.